Welcome to my new series, Homesong readers! 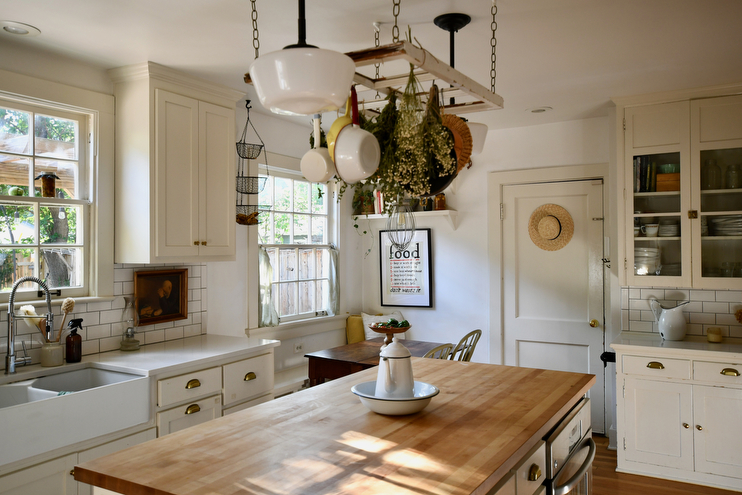 It is with great pleasure that I invite you into the heart of our home and share with great detail some of the ways I keep our space looking tidy while raising a family. I am a tidier at heart, and always have been. I cannot think of time in my life that I wasn’t, even back to the year I got my first Playskool kitchen from Santa and would spend hours tinkering around, rearranging the utensils and food items, until they felt as though they had found their rightful home. Ever since, the art of homemaking has been my utmost passion, something woven within me that truly gives me life and a deep sense of purpose. As the years have gone by, I’ve quite enjoyed tweaking my methods here and there as the seasons have danced on and our family has made this current house our home. On to what this series will entail…tidying and tidbits about tidying, of course! Several times a month I will share with you a tidy tip or tidbit that will be sure to help you along your path as a mindful homemaker. Rather than give you a long list right off the bat, it is my intention to offer one at a time, both to allow for more detail on the subject, and also more time for me to reflect on the ways in which I keep our home. When thinking about what to choose for the start up of this series, it became rather clear that I share my most prized tidy tip with you, which is to clear the surfaces. It might sound ridiculously simple, and after you get the hang of it it is, but it’s not that easy if clearing surfaces is foreign to you. Let me unpack this piece of sage advice and share how and why it helps me so much. From there, making sure that the belongings you do own have a home of their own, a space kept hidden from the eye and off countertops, dressers, cabinets, etc. Begin to ponder the essential question, “How much do we really need in our home?” And begin taking inventory of your belongings. Once you’ve established what is both useful and beautiful to you, choose one or two items to display, and tuck the rest away for when they are needed. This can be a challenge if you have a lot of useful and beautiful things in your home, but with restraint will come satisfaction, and your home will be in tip top shape before you know it! Now for a but of good fun, the action piece that I am going to share with each post in this new series. I suggest you go through your home and clear every surface. Yes, each and every one! Take everything off and clean them well. Then look through your belongings and choose only what you feel is most essential to you, selecting one or two things to display in each space. This will be a challenge at first, but keep going. Next, take the rest of your belongings, the things that didn’t make it to display, and find them a home of their own in a drawer or cupboard. Next, walk around your home and breathe in the new energy you’ve created. Let your home sing to you, and take the time to absorb its song. With a calmer space, you’re sure to have a calmer mind, and therefore, a calmer energy altogether. I have shown you our kitchen above, but this principle can and should be applied to every room to create the feeling of peace and serenity. 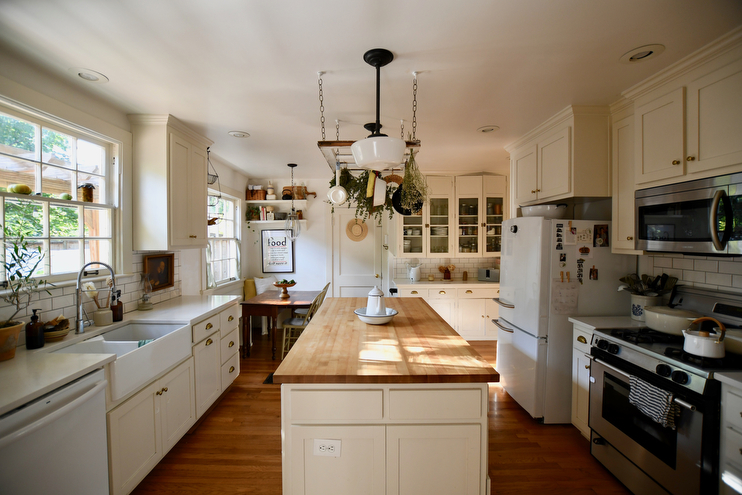 Kitchens are often times the most cluttered space within the home because they are the most frequently used, so I advise you to begin there. As you can see above, there are both necessary items on display that lend themselves to utility, along with items of beauty and nostalgia that bring me joy. 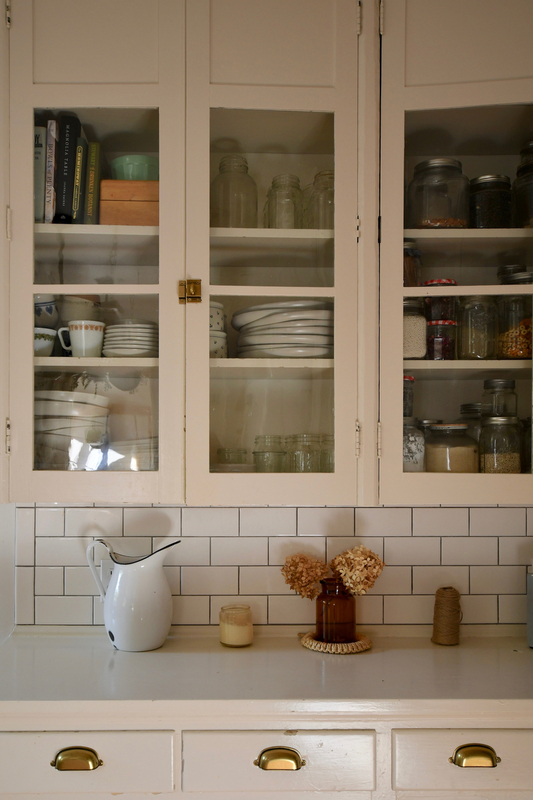 The enamel pan and pitcher in the center island was my grandmothers, and it means a great deal to me. I use it as well for collecting the scraps when I’m making meals, so it happens to fall within both categories of usefulness and beauty. Now, to my dear readers, what do you think about this new series and my first piece of advice? Is this something you practice in your home, or have you found it to be helpful when needing to refresh the energy where you live? And if you’ve got a tidying quandary, feel free to drop it below in the comment section, for I will be taking note as I always do to create thoughtful content that is sure to offer bits of wisdom when it comes to the art of mindful homemaking around the seasons. This is so very wonderful Amanda. We have begun doing this a few weeks ago. We are definitely a low or no clutter home already but as a former Longaberger consultant I have a lot of baskets, pottery and fabrics. We will be offering them at a garage sale in a few weeks. I will keep a few. And I definitely agree the kitchen is the hardest. I love this series, thank you so much for sharing! One of my recent daydreams is clearing off my kitchen counters and just scrubbing away then rearranging everything. Tonight, after the kids are in bed, I shall do it! And after this post, I’m looking forward to it! My one question to you is- I don’t see a toaster or a coffee maker or things like that on your counter. Are those things you do not use or that you tuck away in between uses?